For he's just discovered that the blushing bride is also mother to his secret son! Erin Turner thought her luck was changing until Dimitri dispatches her convenient groom with his signature ruthlessness. But in other ways the high-flying businessman seems completely reformed from the disreputable bad boy she once knew. The chilling truth: whether it's business, billions or bedding women, Dimitri doesn't do anything by halves; he's not just here to claim his child, but Erin, as well! His chance at happiness disappeared without a trace. Dimitri will find her no matter what it takes. Erin sees no other way to leave the past behind. So she escapes all the heartache and tries to move on with her life. 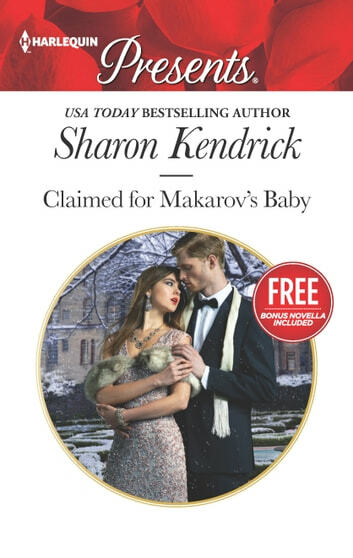 I received an ARC of Claimed for Makarov's baby in exchange for an honest review. There was no surprise factor with this story. It was a concept that has been presented before so I knew what to expect.